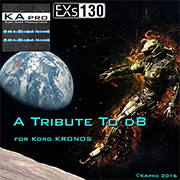 KApro has just released four new libraries for KRONOS: “KRS-79 EXi Atmospheres”, “EXs130 A Tribute To dB”, “EXs137 Carnival Hits” and the free title - “EXs138 Outer Space Ambience”. 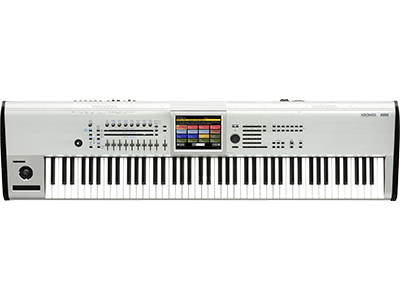 In the 1960s, an exceptional talent entered the "boards that mean the world" and since then delighted us with new, innovative, intelligent musical creations. 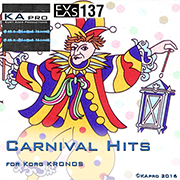 In many places it has been the tradition that carnival clubs organize show events called "sessions" with witty speeches and comedy, songs as well as dance performances in costumes. 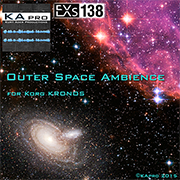 In the KApro EXs138 "Outer Space Ambience" Library you will find sound effects associated with outer space missions, which partly went down in history. 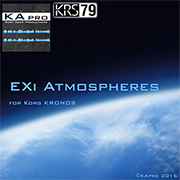 The KRS-79 KApro “EXi Atmospheres” Library offers a varied sound set of 64 programs for the KORG KRONOS. 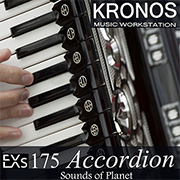 Sounds of Planet has just released their 8th title “EXs175 Accordion” for KRONOS. 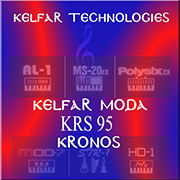 Kelfar Technologies has just released a new EXs sample library for KRONOS: “EXs170 Maestro”, updated “KRS-95 Melodia” and produced two bundle packages - Kelfar Bundle Pack#3 includes EXs95, KRS-95, EXs96 and the new EXs170 Maestro, and Kelfar Bundle Pack#4 includes EXs95, KRS-95 and the new EXs170 Maestro. 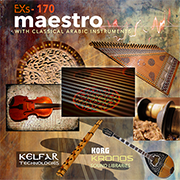 Kelfar Technologies introduces the NEW EXs-170 Maestro, a sound library that offers a selection of CLASSICAL ARABIC INSTRUMENTS to add to your KORG KRONOS. 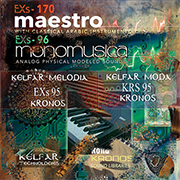 Kelfar Technologies' KRS-95 Moda sound library offers keyboard musicians an unprecedented array of Middle Eastern sounds to recreate popular Sha'abi dance music. Kelfar Bundle Pack #3 includes the four Kelfar libraries. Kelfar Bundle Pack #4 includes the three Kelfar libraries. 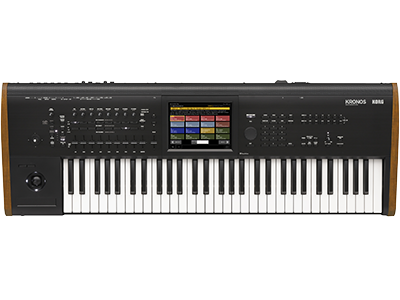 Home News New KRONOS Sound Libraries: There are four new libraries (including one free title!) 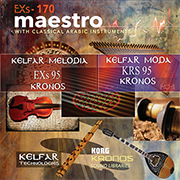 from KApro, one new library from Sounds of Planet, one new library from Kelfar Technologies who are also releasing an updated library and two bundle packages.